As you generate and issue Debit Notes, it needs sequential serial numbers as well as terms and conditions (depending on your company). 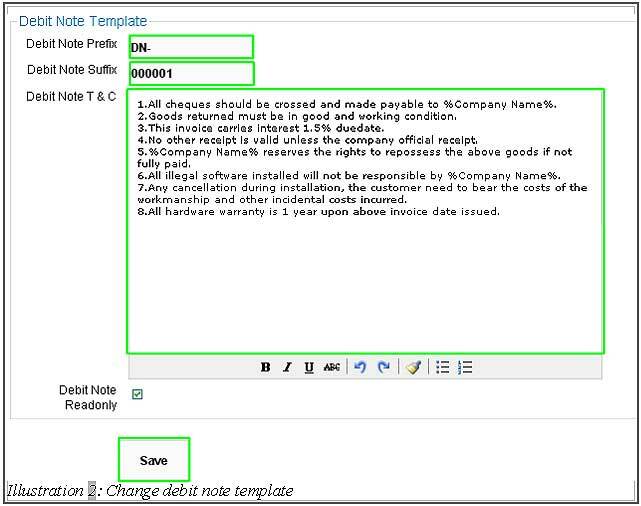 Instead of typing it out manually for each of the debit notes, you can set a template for Debit Note in Online Inventory Management System. You can change the debit note template as the PREFIX, SUFFIX and Debit Note T&C in BMO Online Inventory Management System by following the steps as shown below. 1. 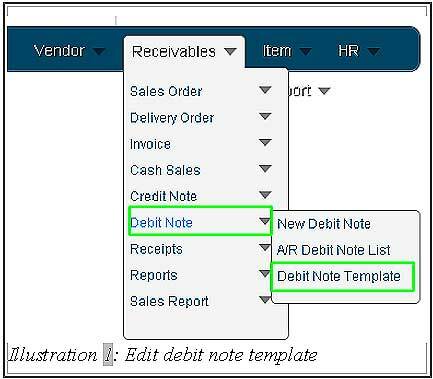 Click on the “Debit Note Template” (Receivables > Debit Note > Debit Note Template) on the navigation menu bar. 2. You can change the “Debit Note Template” or just leave it as it is. There is a default Prefix, Suffix and Term & Condition which is already filled up by the system. On the “Debit Note Readonly” checkbox, you can tick it as read-only else is not read-only. After that, click on “Save” to save and submit the request. 3. A notification will pop up to remind user that the debit note template is changed successfully. Click on “OK” to dismiss the message. Your next debit note issued will be using the new template.